If you're craving seafood, look no further than this new business. The new arrival, called La Grana Fish, is located at 865 50th Ave. This food truck offers an unusual mix of seafood tacos and baked potatoes. 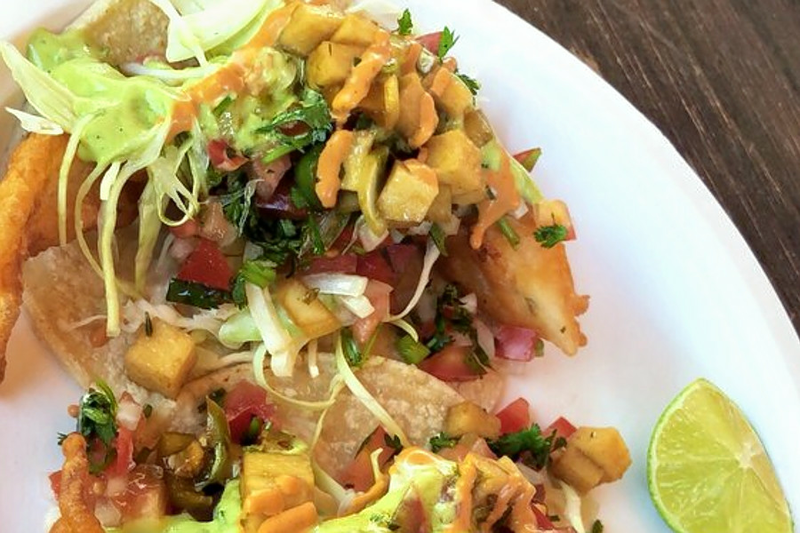 On the taco side of the equation, you'll find pescado tacos, made with fried fish, red cabbage, cilantro, tomato and onions; ceviche tostadas; and some non-aquatic options like al pastor and cabeza. Baked potatoes come loaded, with toppings like cheese, green onions, sour cream and ground beef. With a five-star rating out of three reviews on Yelp so far, La Grana Fish is on its way to developing a local fan base. Kevin R., who was among the first Yelpers to review the new spot on September 22, wrote, "Hands down best fish tacos I've ever had. Service was friendly, fast and facilities were very clean. Highly recommended!" And Dolores H. wrote, "Best fish tacos I've ever had in the entire Bay Area! Their baked potatoes are the bomb too! If you want to taste something different, this is the place to go."